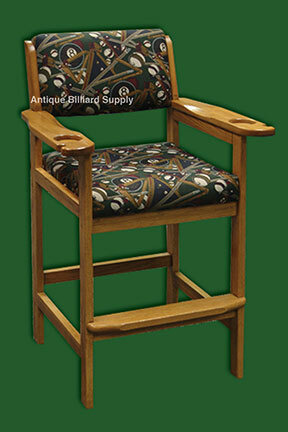 #7-05 Billiard spectator chair of solid oak. Quality fabric features pool room motif in complimentary colors. Timeless design survives from an American furniture maker no longer in business. Recessed drink holders in each arm. Very good condition.